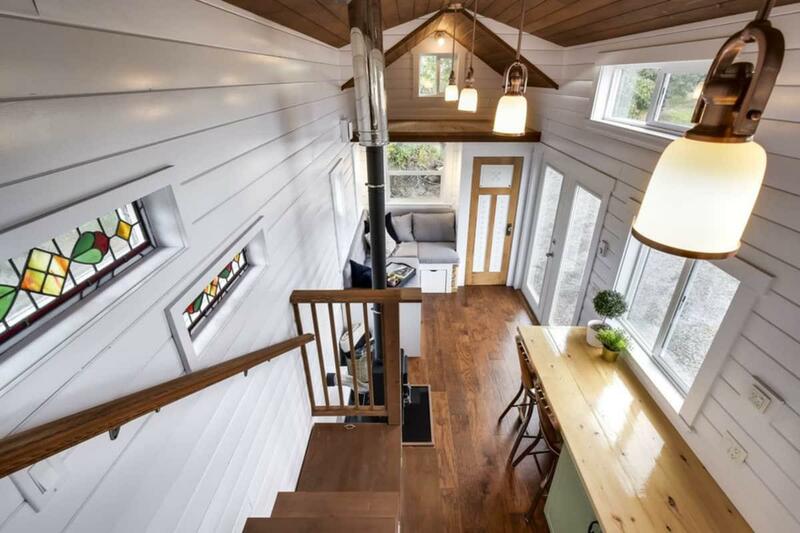 This 309 square foot tiny house is an absolutely functional work of art. 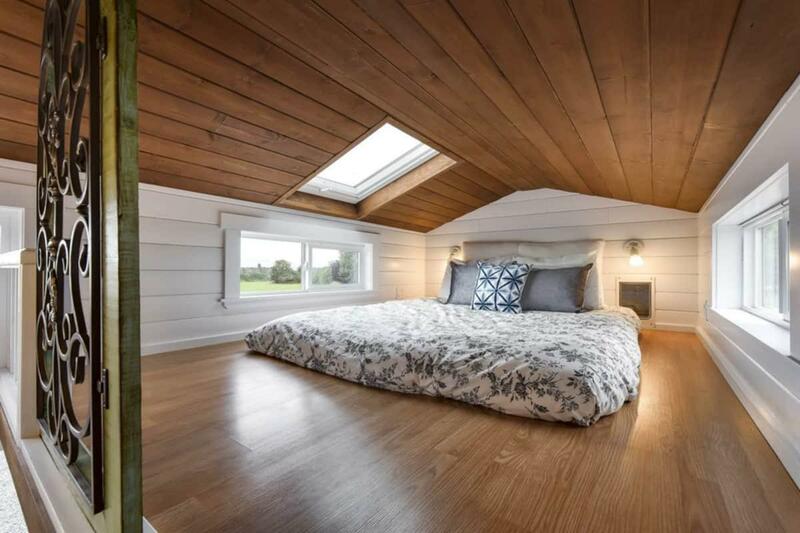 With plenty of space to cook, work, sleep, and just hang out–this tiny house has room for it all. 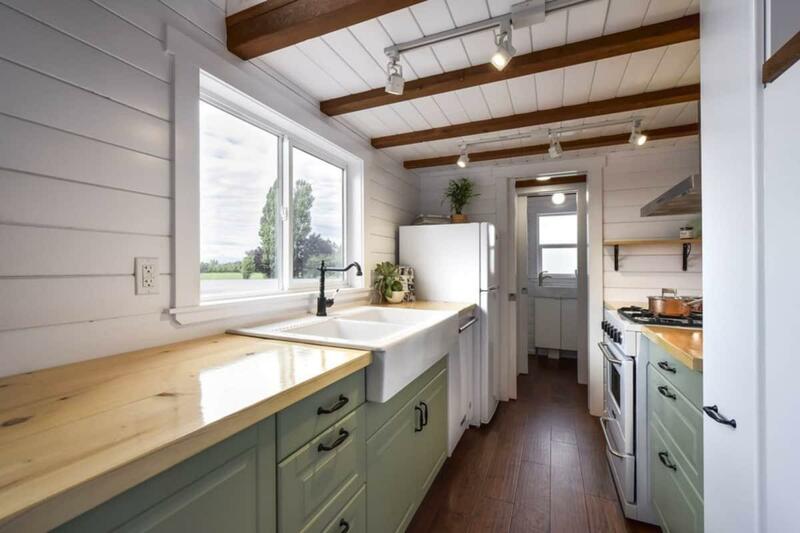 Full-sized kitchen appliance and plentiful cabinet space make this tiny house kitchen anything but tiny. There are also a number of counter tops–perfect for cooking and food prep! An available option is the Furrion propane oven and cooktop which is certified for RV use. You can really see how spacious the kitchen is here. 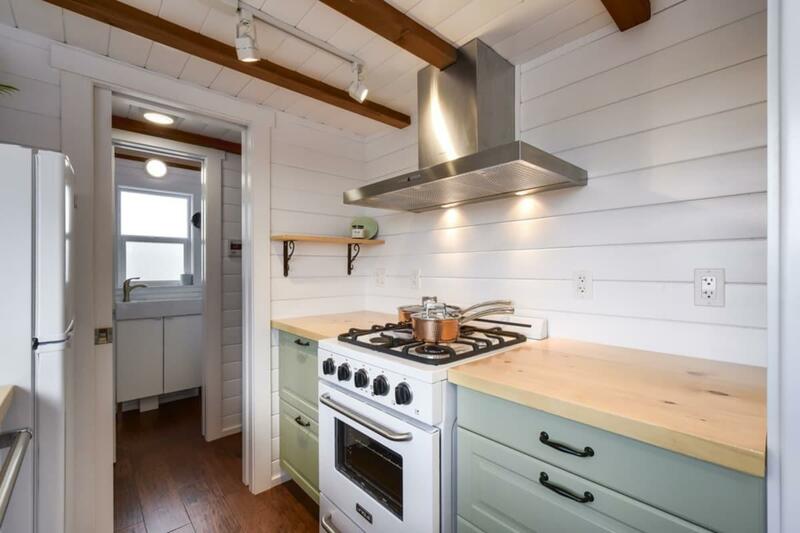 The mint green works beautifully with the wood counter tops. 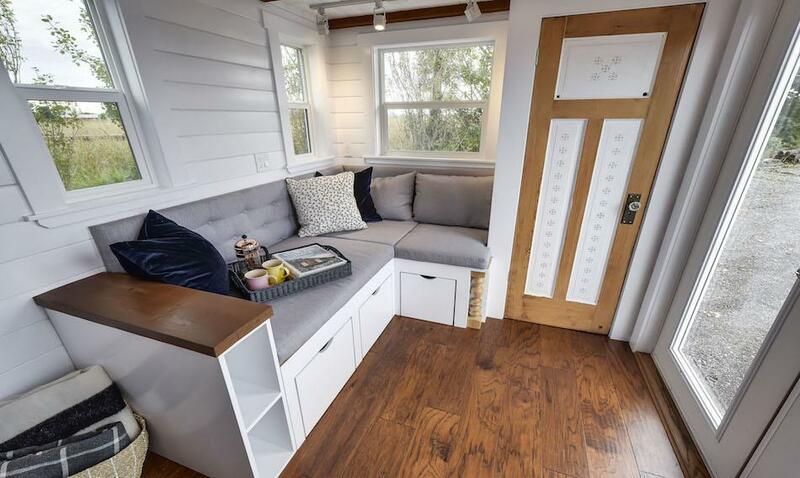 The living room is the first space you enter when you walk into the tiny home. The small corner couch has storage underneath and beautiful window views. This looks like a cozy place to read a book. 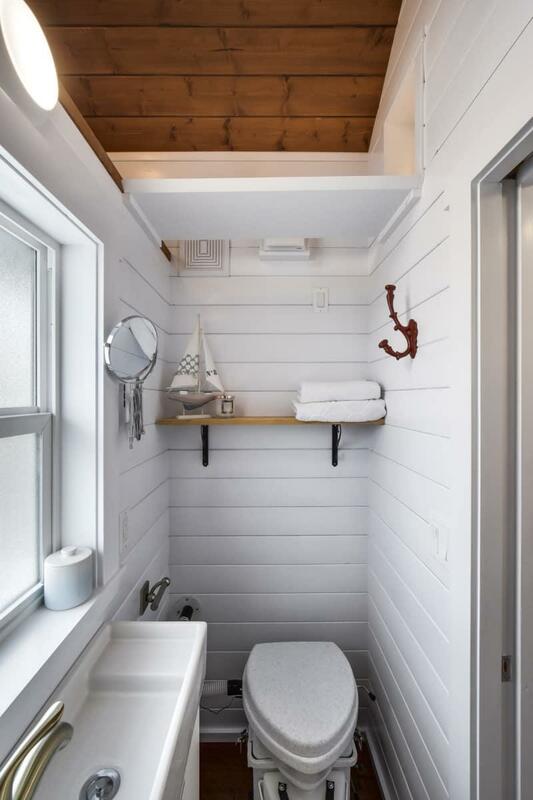 Just beyond the kitchen is the tiny house bathroom. 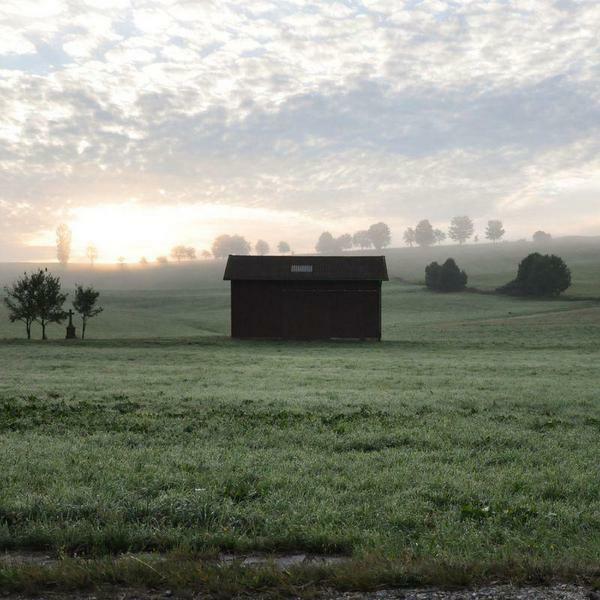 Although small, it has everything you need. There’s even a nook for laundry facilities. Lots of function packed into this small space. 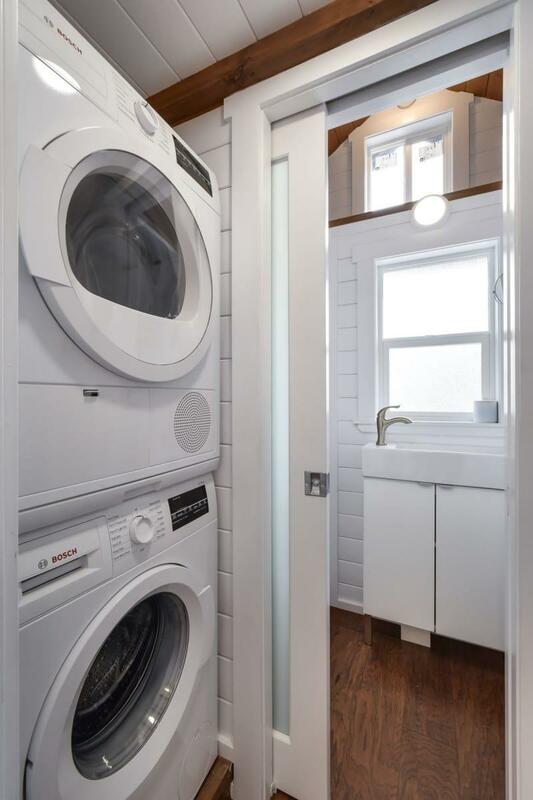 A stackable laundry unit fits snugly in between the bathroom and kitchen. A set of custom stairs leads to a spacious sleeping loft. There’s even enough room for some custom shelving for clothes. An additional sleeping space can be made out of the sofa on the main floor. We love the custom, vintage gate as a guard rail. Along the custom staircase, we get a glimpse of the bespoke stained-glass windows. 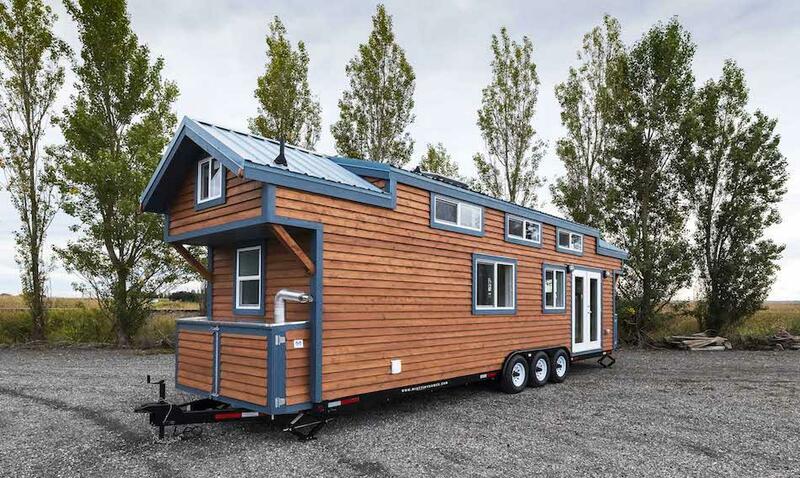 This RVIA certified, custom tiny house on wheels can be yours for $85000. Please note; prices may vary over time. 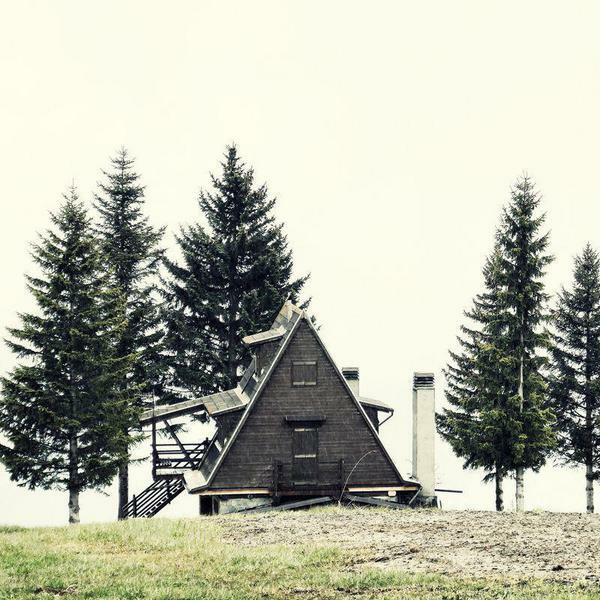 Be sure to check with the tiny house builder here for the most up to date prices and information.